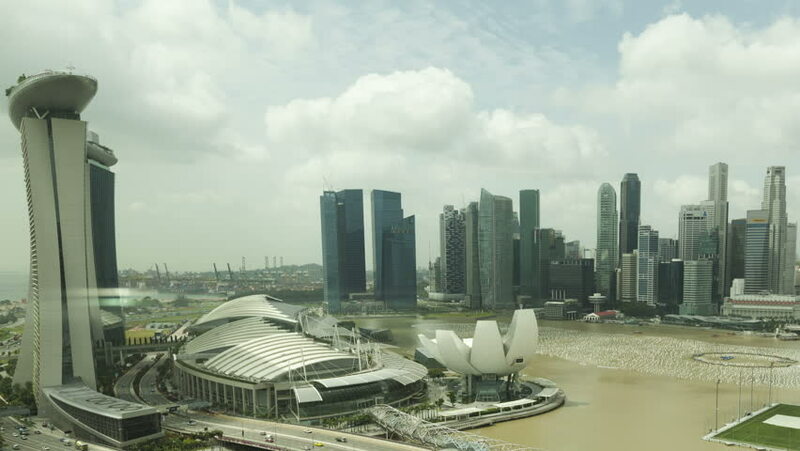 4k00:17SINGAPORE, JANUARY 27 2016: twilight time city flyer cabin ride famous downtown bay panorama 4k circa january 2016 singapore. 4k00:33SINGGAPORE CITY, SINGGAPORE - DECEMBER 31, 2017 : Aerial view of Singapore city the Marina Bay going down, Beautiful foggy over the towers in the rainy season. 4k00:074k aerial view time lapse of Singapore Marina Bay city, panning down shot.